Jaguar is a British car company with a reputation for making beautiful cars with marginal reliability. The Jaguar E-Type of the 1960s is often thought of as one of the best looking cars ever made. 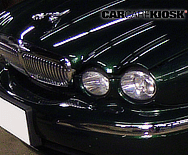 In the 1980s, Jaguar was taken public and by the 1990s, the Company was purchased by Ford (along with Aston Martin, Land Rover and Volvo) to assemble its Premier Automotive Group division. The Jaguars of the 1980s and 1990s often had horrendous electrical problems and expensive prices. Once integrated under Ford, reliability improved somewhat as the Company benefited from more resources. 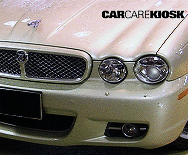 The S-Type and X-Type Jaguars of the 2000s, were based off of Ford platforms whereas the larger Jaguar XJ was produced on its own platform. 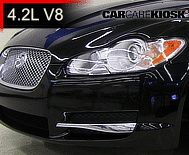 In 2007, the new Jaguar XF debuted with a radically new design direction and was well-received by consumers and competed with the BMW 5-series. Also in 2007, Ford sold the brands that made up the Premier Group; Tata, an Indian manufacturing conglomerate, purchased Jaguar. Again benefitting from deeper pockets from a large parent Company, Jaguar has launched the F-Type, a two-door sports car that takes design cues from the original E-Type.